We have many charitable opportunities here at Oratory and many of them are brought to us by our own St. Philip Neri Club. 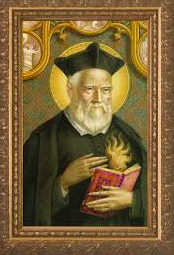 The club encourages its members to become leaders and lead lives similar to the life of St. Philip Neri. The members must go to a school mass beside the mandatory ones at least twice a month and they are put in charge of their own charity. Instead of having an adult tell you what your group is going to do, the adult assigns you a group and it is up to the students in the group to decide how they want their charity to go. It teaches students leadership in order to make sure that your group meets and plans and that they get the word out for other students to volunteer. They also have activities for students who are not in the club full time. You can also participate in BRIDGES and SHIP. BRIDGES is a trip where students meet right after school to make sandwiches and then another group takes the sandwiches that night into New York City. They hand out the sandwiches to people that need them and then head back. SHIP is very similar; students go to work at a food bank. The students typically go to help out for a meal, usually dinner, then serve the food and clean the rest up. I cannot wait to see what other charities they help and what good they do in the world this year.